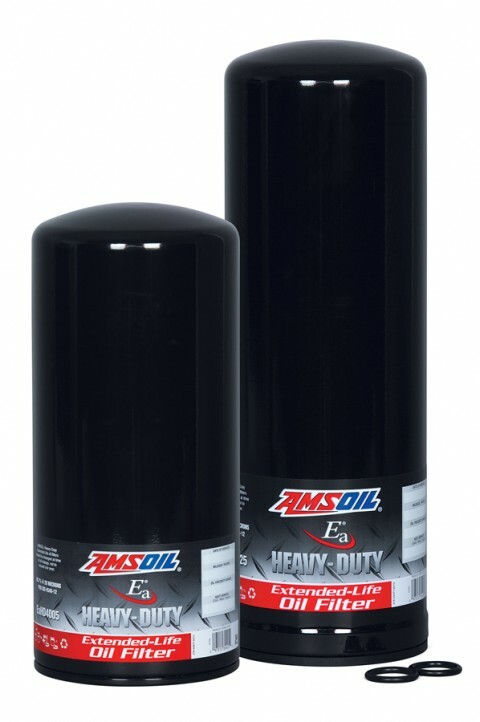 AMSOIL Ea Heavy Duty Oil Filters Provide excellent filtering efficiency and high levels of contaminant capacity for heavy-duty on- and off-road gasoline and diesel applications. They provide extended service intervals that coincide with the maximum drain interval recommendations of AMSOIL synthetic motor oils (not to exceed one year). Comparable to “Donaldson Blue” on performance but better on price! Ea® Heavy Duty Oil Filters are made with premium-grade full-synthetic media. The strictly controlled processing of this media ensures accurate filter construction. Over the service life of a conventional cellulose filter, hot oil can degrade the resins that bind the media. Ea Heavy Duty Oil Filters’ full-synthetic media technology is resin-free. It uses a wire screen backing that is pleated with the media for superior strength. Ea Heavy Duty Oil Filters are constructed with HNBR gaskets that are fully tested over long durations in numerous severe environments. 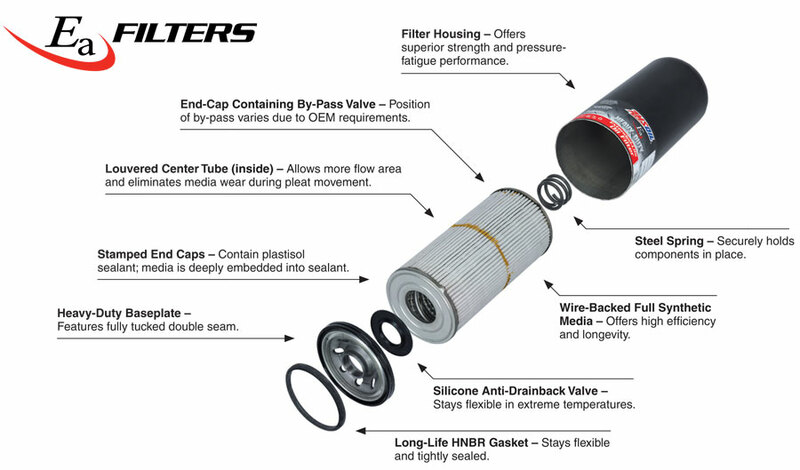 The filters also feature fully tucked seams, a molded element seal, roll-formed threads and a long-lasting, premium-grade silicone anti-drain valve. Ea Heavy Duty Oil Filters are recommended for heavy-duty on- and off-road gasoline and diesel applications including, but not limited to, over-the-road trucks; dump trucks; refuse haulers; school buses; farm tractors; mining, construction and industrial equipment; and more. Popular manufacturers include Caterpillar, Peterbilt, Mack, Kenworth, John Deere, Ford and several others. Consult the online Heavy Duty Filter Lookup at www.amsoil.com for specific product recommendations.